First of all, special thanks to Scott Meller and his Feldmar team for having us at his recently renovated beautiful store on Pico in Los Angeles. His staff was very friendly and knowledgeable and the recently renovated store is just amazing. If you have not been there recently, I definitely recommend it. The variety of brands and models available is top-notch. Check out the new displays! 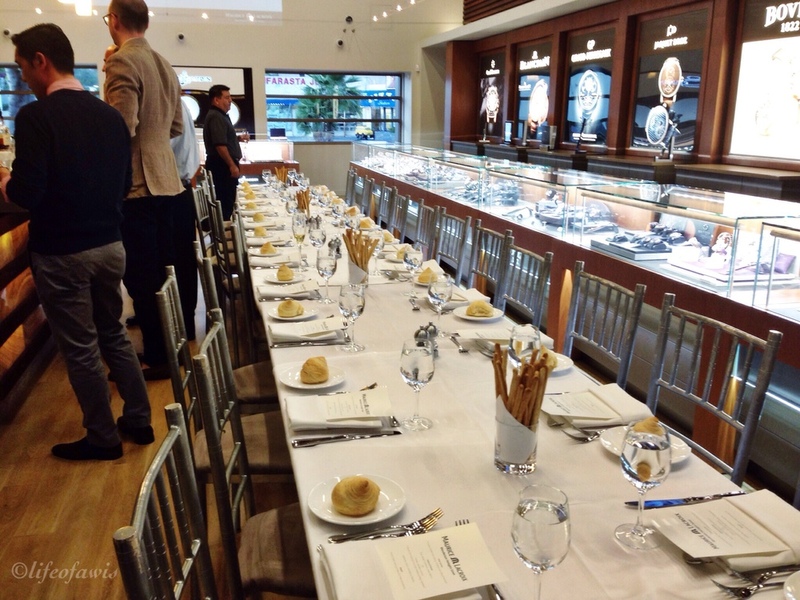 And the best part, we had dinner right in the middle of their show floor surrounded by watches. Only a true WIS can appreciate that feeling. The night started with some scotch whiskey tasting by The Glenlivet. We were able to taste 12, 15, 21, and even 25 year old scotch! The presenter also gave us a nice history lesson on the origin of the brand and a quick scotch whiskey 101. Admittedly not a scotch whiskey connoisseur, I must say that I still very well enjoyed this portion of the night as it was very informative and fun. 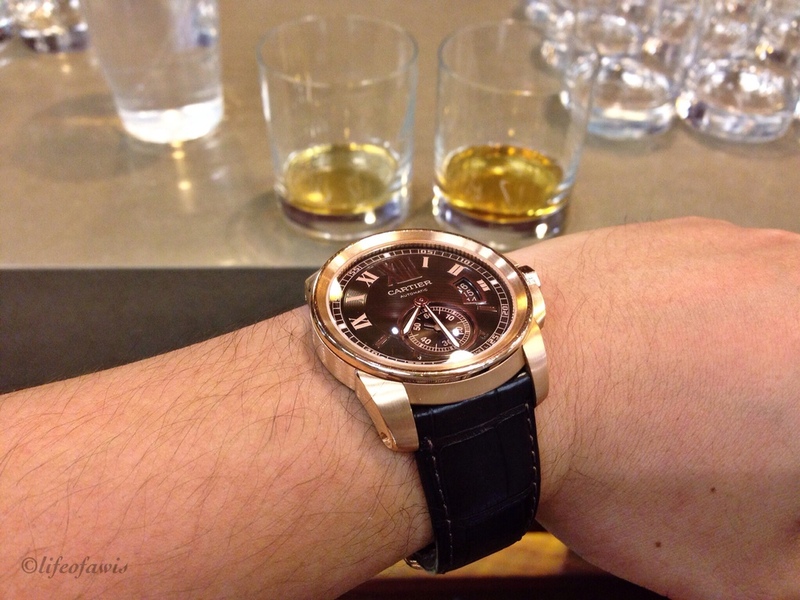 Perfect time for a wrist shot. Then it was time to get dinner started. 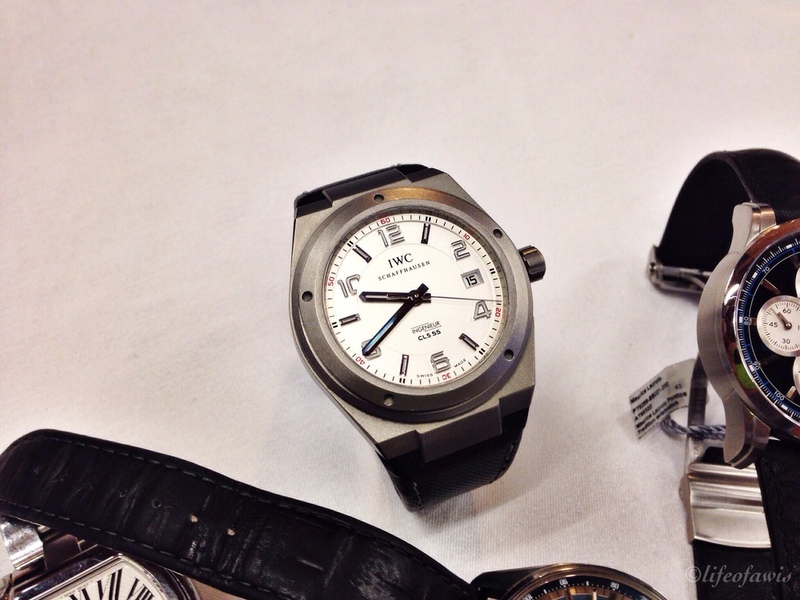 Let's not forget the wrist shot. 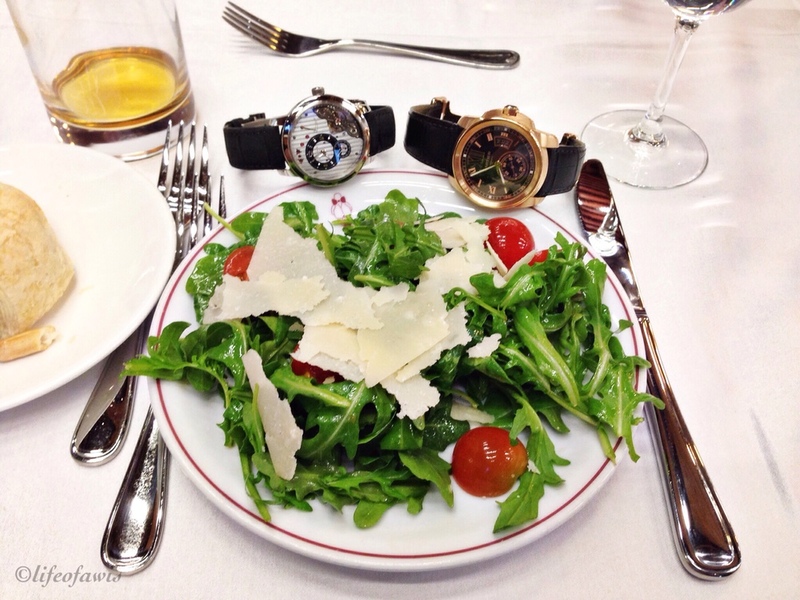 Salad with a side of Glashutte Original and Cartier..
For the main course I opted for the Sea Bass. 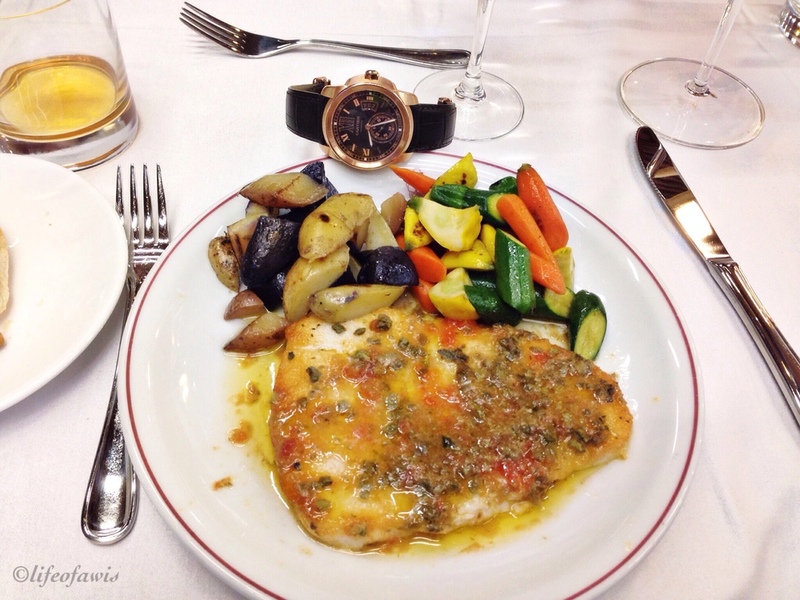 During dinner, we had the honor to hear Harmut Kraft (President of DKSH Luxury and Lifestyle North America, who owns Maurice Lacroix) share with us his personal life story on how he became a watch collector himself and how he became President of DKSH NA. I tip my hat to Mr. H (how he likes to call himself). It was my first time meeting him and immediately I was impressed by his natural charisma and friendliness. Not only did he make everyone feel right at home, but he also entertained us with his witty comments and great sense of humor. 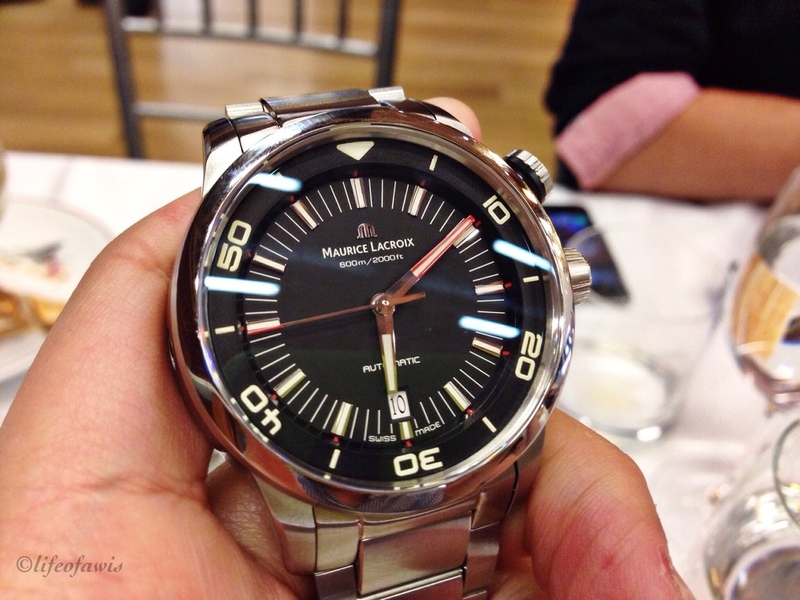 Like he kept reminding us, that night was not a Maurice Lacroix event or an event to pressure people to buy watches, it was simply a watch event for watch collectors in Los Angeles to enjoy beautiful watches in great company. 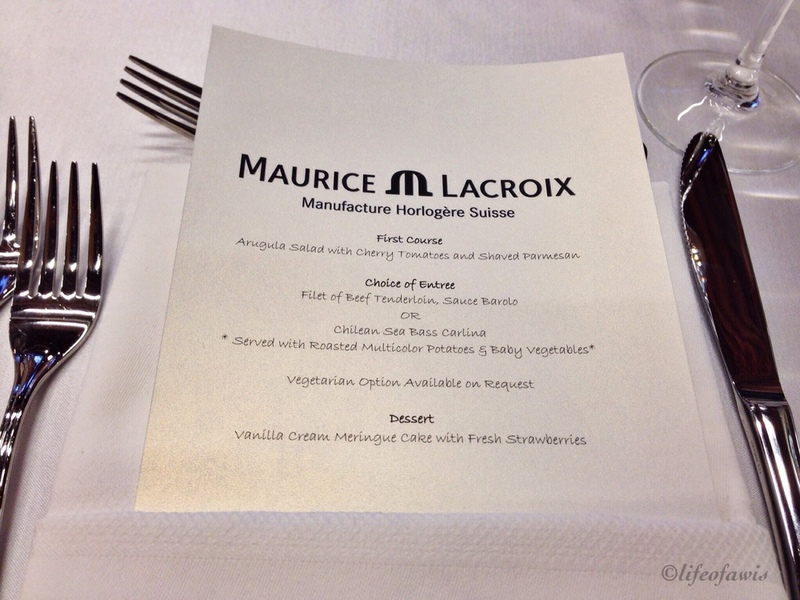 It certainly felt like so and I applaud both Maurice Lacroix and Feldmar for the amazing experience they were able to create last night by not making us feel pressured. An interesting fact about ML that I was not aware of is that they are now a completely vertically integrated company and their case manufacturing facility also makes cases for AP, Panerai, etc. Apparently ML only uses about 20% of their case manufacturing capacity. 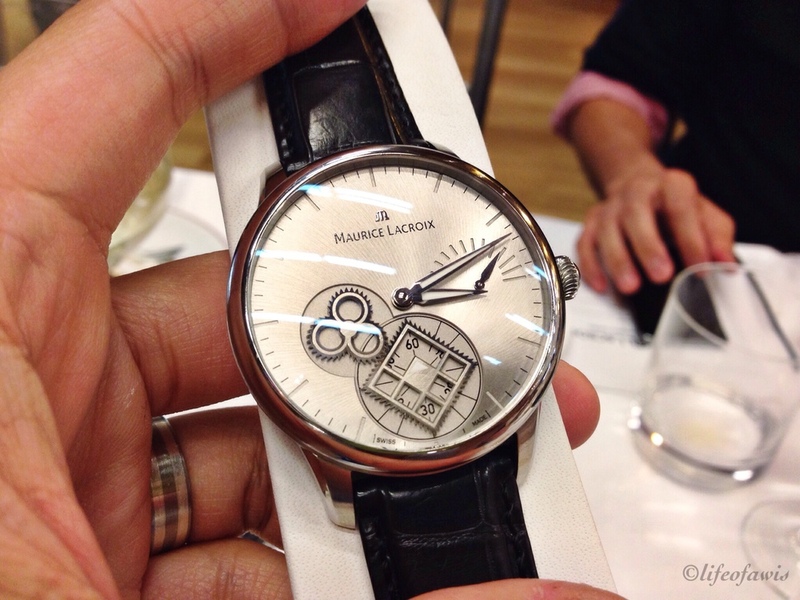 During dinner, several Maurice Lacroix watches were passed around for everyone to enjoy pressure-free. 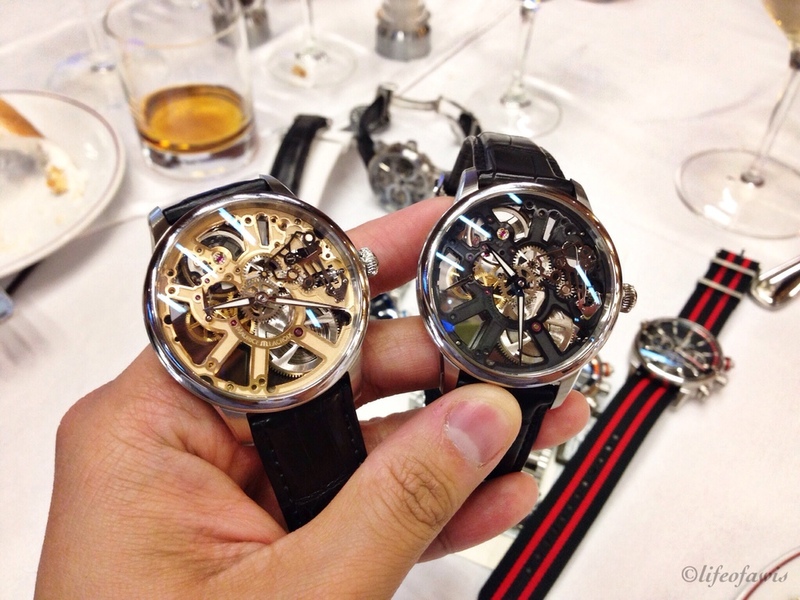 Being able to play with these watches firsthand and taking your sweet time to appreciate every detail was truly priceless. The backside is just a treat to look at. How about the new Squelette? 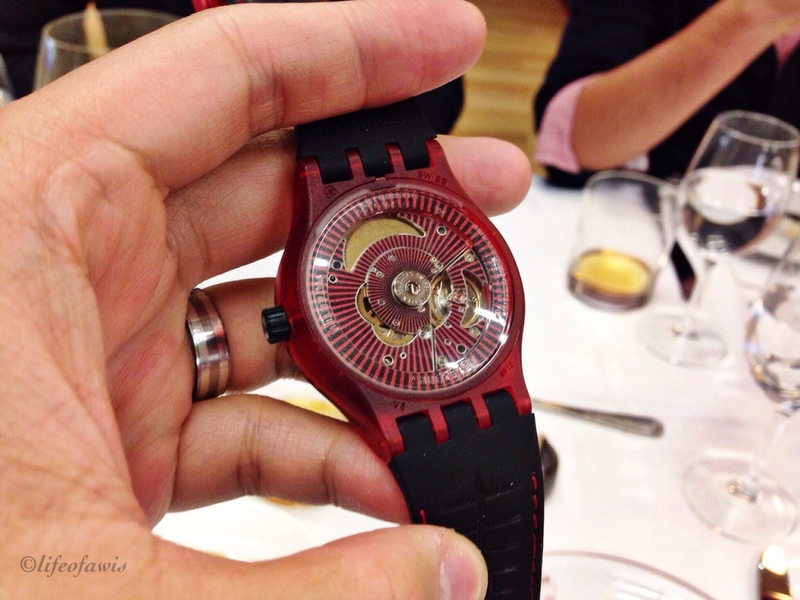 An interesting fact about this watch is that the rear crystal has a mild tint to help hide the ugly arm hair. The best part? It actually works! Three different Squelettes all on my arm! 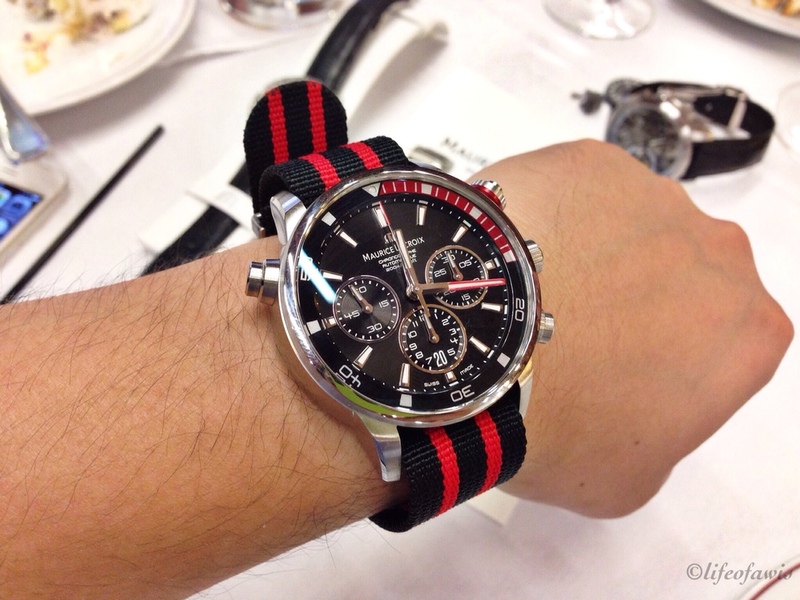 And then there was the Pontos line, the affordable chronographs and diver. 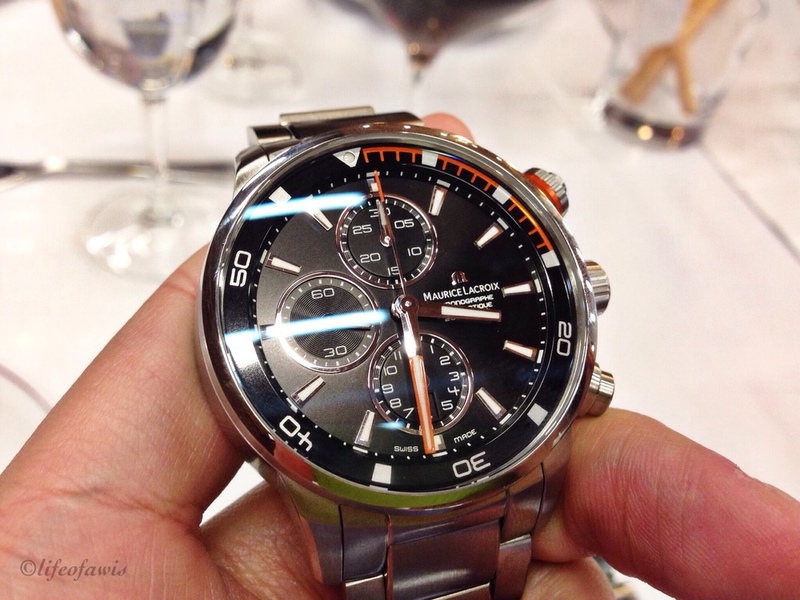 My favorite chrono is probably the red or the orange. Really liked the Diver too... mmmmm... cannot decide which one I like best! Pontos S... in orange and blue. 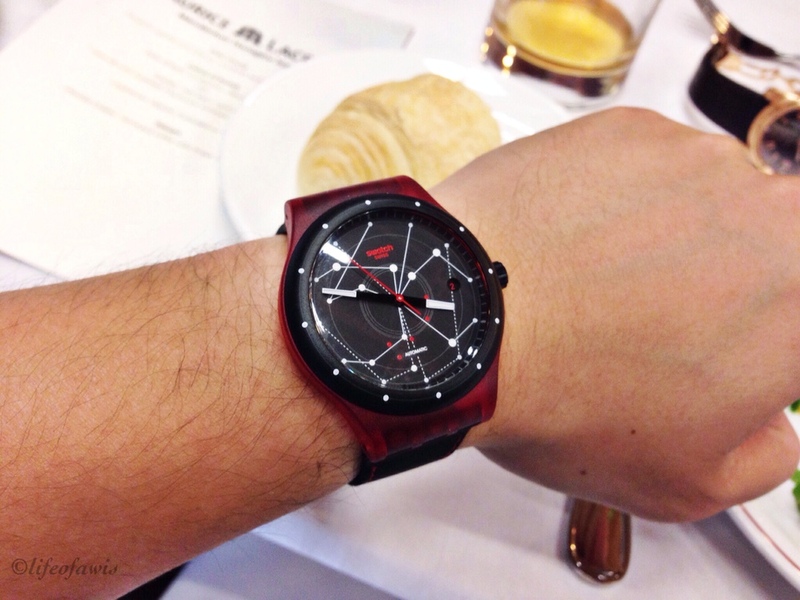 Red Pontos S with a quick date set. Something a bit dressier but with an edge, the Square Wheel. 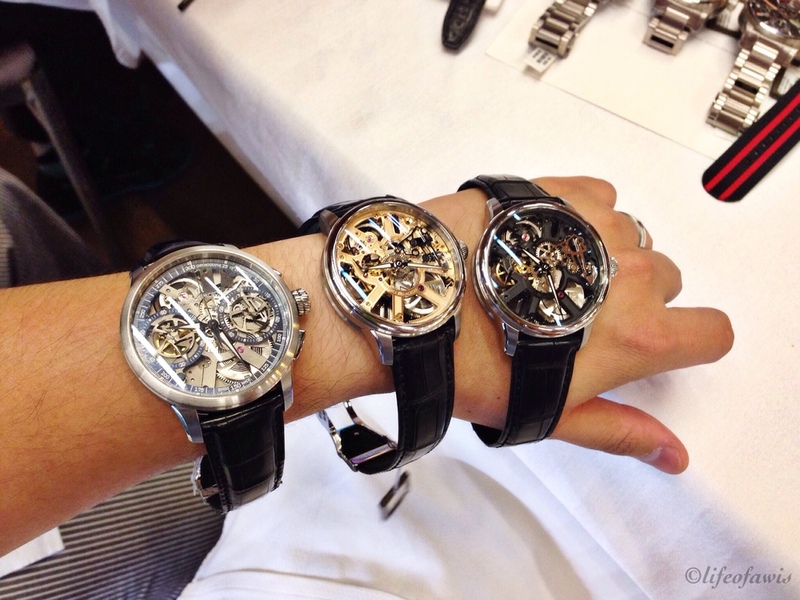 The Maurice Lacroix family shot. And like I said earlier, this was not a ML night, it was a Collectors Night so Feldmar also brought out these other beauties for us to enjoy. 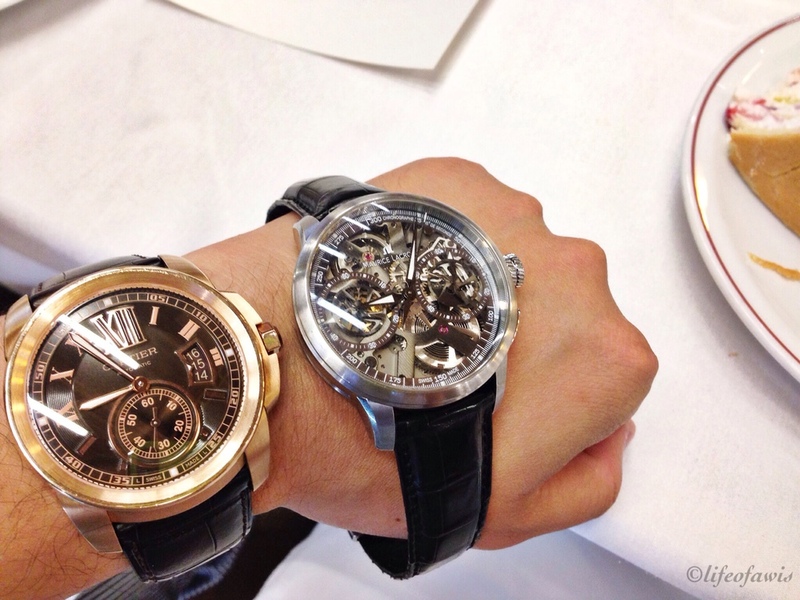 Arnold & Son Moonphase in rose gold. Stainless steel and rose gold. 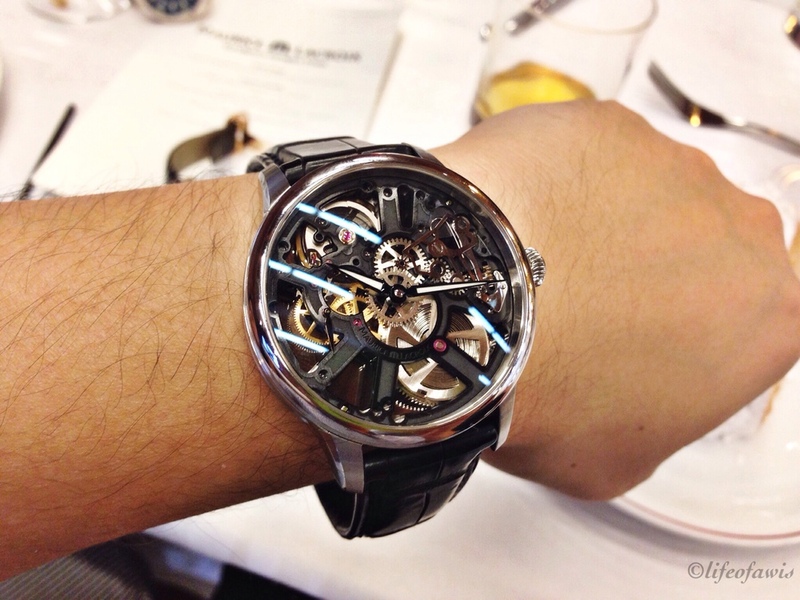 And a few photos of some of the watches from the attendees. 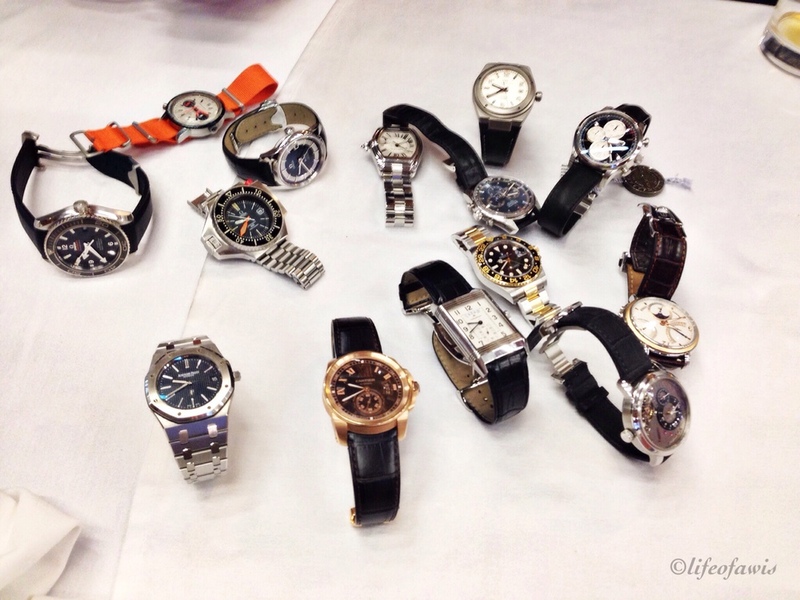 A pretty diverse group, we had Rolex, Cartier, Maurice Lacroix, Audemars Piguet, Glashutte Original, Omega, A. Lange & Sohne, IWC, Breitling, Martin Braun, and JLC. And as if all of that was not enough, I left with a huge smile on my face and a great goody bag!! !